In the winter, Blue River gets large amounts of snow. Often times the snow can pile up when sliding off roofs causing external dryer vents to get blocked or crushed, limiting or cutting off airflow. This will cause dryers to not dry as fast as they are designed to. Keep any eye out to prevent these things from happening. Much of Blue River is now supplied with natural gas, but if your home still has propane gas, make sure you have the proper orifices on the range and in the oven to prevent too large of a flame in gas appliances. 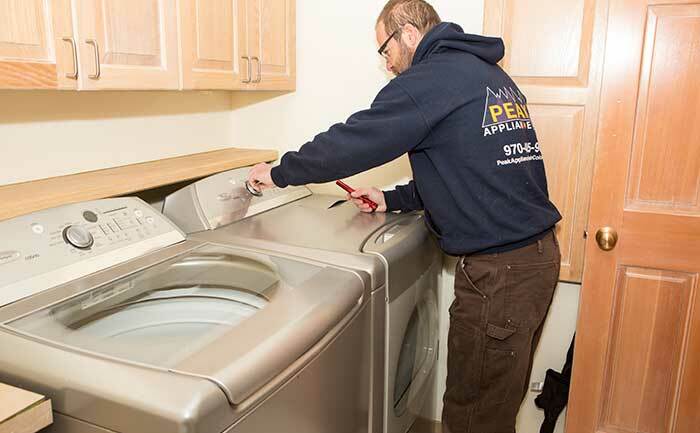 Contact us online or call us at 970-485-9818 to schedule your appliance repair in Blue River today! Give us a call to schedule your diagnosis, 90% of the time we have the parts to fix it on the spot! Call us today to schedule your appointment.